2018 Cider Week FLX launches! The outcomes of the FLX festival will be deepened awareness of FLX as an apple- and cider producing region, increased visitation, and economic stimulation based on both tourism and a boost in craft beverage sales. With more cideries than any other state (90 and counting! ), a thriving apple industry, historic orchards, and a reputation for being the source of quality craft beverages, New York is the national cider industry frontrunner in terms of quality, scale, reach and economic impact. New York Cider Association works to advance that leadership, with the twinned objectives of developing New York Cider’s market position and strengthening the viability of the New York cider industry. To learn more visit newyorkciderassociation.com . Cider Week was launched by Hudson Valley-based sustainable agriculture not-for-profit Glynwood in 2011 as a way to connect trade professionals to farm-based cider producers in the region, while also increasing public awareness and appreciation. Now produced by the NYCA, Cider Week has grown from a series of marketing events for producers and retailers occurring in New York City and the Hudson Valley, into a series of four regional festivals throughout the state. To discover other cider weeks, visit ciderweeknewyork.com . NYCA’s production of Cider Week FLX is possible thanks to the contributions of our sponsors, all important members of the regional cider community: Cider In Love, Finger Lakes Cider House, Goodnature, and Vance Metal. To celebrate its third anniversary, Finger Lakes Cider House on Good Life Farm, home of Kite and String Cider, has expanded its beverage program to bring together cider makers from throughout New York State. Since opening in May 2015, the farm cidery tasting room on Cayuga Lake has focused its program of dinners, events, and in-store activities on a small group of Finger Lakes cider makers. Beginning in May 2018, the Cider House will host a curated selection of one visiting cidery per month to share the tasting menu with Kite & String. This renewed approach gives the Cider House team the opportunity for creative collaboration with like-minded cider makers in the Finger Lakes, Hudson Valley, Western New York and beyond, and allows its loyal community of cider enthusiasts to experience orchard-based cider of exceptional quality from a wider range of apples, terroir and technique. In May, the Cider House will feature Redbyrd Orchard Cider from nearby Trumansburg. Redbyrd is featured on the tasting menu all month, and on Saturday, May 19th will launch a special cider with a release party focused on RBO’s orchard and unique approach to cider making. Join Eric Shatt at the Cider House for a walk into the Good Life organic orchards to taste Redbyrd’s 2017 estate grown ‘Cloudsplitter’ while discussing biodynamic orcharding with Eric and Mike Biltonen of Know Your Roots Orchard Consulting. In June Hudson Valley Farmhouse Cider from Breezy Hill Orchard in Staatsburg will take residency at the Cider House. Breezy Hill’s visionary farmer-owner Elizabeth Ryan has more than 30 years experience with land preservation and cider making in the Hudson Valley, and is a keen scholar of regional cider anthropology stretching back to the 17th century apple orchards planted by the Dutch . Elizabeth will make a few appearances in the Ithaca area in June, leading an exploration of cider’s colonial heritage with Experience the Finger Lakes on 6/6 and exploring the influence of this heritage on today’s food and drink culture on 6/7 at the Cider House. Future guest producers will be posted on the Finger Lakes Cider House calendar. To learn more about the Cider House or its new program of residency for New York’s premier cider makers, please reach out to Melissa Madden at melissa@fingerlakesciderhouse.com. A New Way to Host Guest Cideries, Staring May 1! Introducing a new way to highlight on guest cideries at the Cider House... starting with Redbyrd Orchard Cider! Starting with May, we're shifting our manner of hosting guest cideries to focus on 1 special orchard cidery per month, alongside our own Kite & String. Redbyrd will be our focus for May with Workman Dry on tap and an estate cider release party on Saturday, May 19 for Cloudsplitter! More info on Redbyrd Orchard, our 5/19 Release Party and the next guests on the calendar! On the verge of finalizing the 2017 blend, we spent an hour walking through a vertical tasting of Good Life Farm-Kite & String Cide Cazenovia, starting with our first vintage in 2013 and through the blending trials and proposed final blend for 2017. Reminiscing fueled by cider as each vintage reminded us of something unique to our orchard cider community- Eve's Cidery's generosity in 2013 when they let us start production at their place while still building ours; my own learning curve in selling cider alongside vegetables, fruit and meat; the support of Cornell Orchards, Black Diamond Cider, Redbyrd Orchard Cider and Farnum Hill Cider in getting bittersweet cider varieties into our country. The last two tanks of our 2017 cider are finishing up their fermentation as we speak. What an awesome year it was for us at Redbyrd!!!!! We harvested a record crop from our orchards and 80% of our fruit this year came from our trees and small local orchards in Schuyler and Tompkins county managed by us and people we love!!! !…..Treegate Farm, Newell Farm, Hammerstone Orchard, Sweet Land Farm. We love this fruit! !, truly a difference from a cider perspective in organic management and variety selection, to us this makes all the difference in the world with higher levels of concentration, complexity and soul in the fruit, and cider. The ciders from 17’ are showing great!!! Most of our blends this year contained higher quantities of bittersweet and aromatic heirloom varieties which are tasting really good in their early stages with plenty of body, vibrant fruit, and fairly angular, austere rich strong tannins, especially in the Kingston black, Dabinett, Harry Master Jersey realm of fruit. The flavor and attributes of these tannic varieties were not diluted from excessive rain and heavy crop this season as anticipated. In fact in some ways we will need to age and soften/integrate cider heavy in these varieties before they can be released. The flip side is that these ciders should have strong aging potential and this is a world we are diving into more and more each year as we try to hold back ciders for future rereleases. Rounding out our season…Our final pressing of the year which was mostly Goldrush was spectacular with high brix, and that rich golden viscous juice that we are becoming more familiar with and loving more and more each season. These tanks highlighting their bright fruit will likely become a very important blending component in most of our ciders. It’s great to have our tanks full again, and to have the scarily lean harvest of last year behind us, we made it through!!! Now one of the big questions right now is…… “Is this another two-year harvest?”, or will we have fruit again next year? Will we have to hold back our stash to last for two seasons, or can we freely move this vintage out the door!! We are so very looking forward to bottling and sharing this harvest with you!! !….stay tuned!! Read more about Redbyrd Orchard Cider on their Blog! It starts with a bang- the annual Downtown Ithaca Apple Harvest Fest- and continues through a full week and 2 solid weekends of cider-centric events full of tastings, education, conviviality. It also happens smack in the middle of harvest and pressing season, and most of us are small cideries still playing both sides of the table: working the orchard and press by day, and dashing off to events in the afternoon and evenings. This is year 5 for the producer-initiated and -run Cider Week FLX, associated now with the New York Cider Association and aligned with Cider Week NYC (approaching 10/20-29/2017). Given this perfect storm in harvest and cider drinking time, how does it work? Does Cider Week do the job to create 'cider ephiphanies' all over the region? 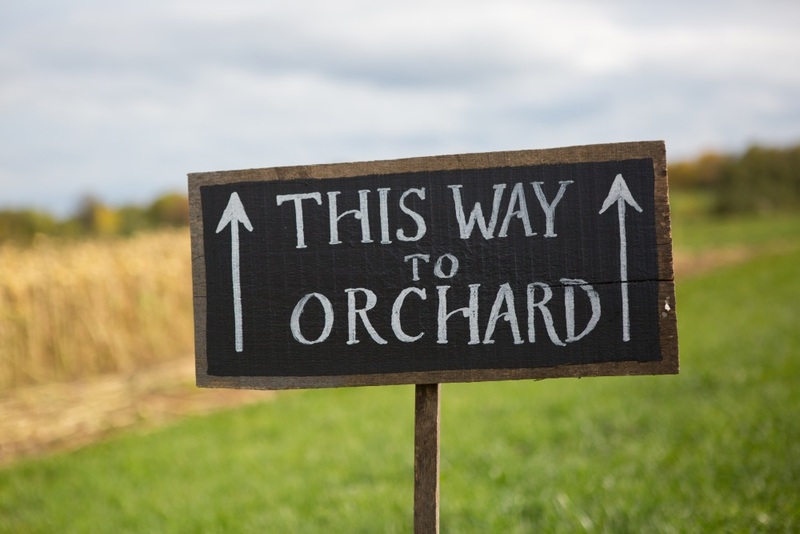 Are we inspiring new cider devotees to our FLX orchard cider ways? And if so, does this mean enhanced sustainability for our family farms, our IPM and organic orchards and our desire to participate as living wage employers, aware and active enviromnental stewards, socially just businesses and members of healthy families? Is it even possible to answer these questions mere days after Cider Week ends and as we return to the trees and press to catch up? Consider this a sally into addressing these larger issues as they affect our vision and day-to-day businesses, and join us in the conversation! For now, some thoughts from the collaborating minds that make up the Finger Lakes Cider House: Kite & String (house cidery), Black Diamond, Eve's Cidery and Redbyrd Orchard Cider. Cider week was the busiest ever for us this year. Some days we had simultaneous events in different places. It was great to have so much interest in ciders, but exhausting to keep up with it in the midst of harvest and pressing! Our farm/cidery tours on Saturday were definitely the high point for Black Diamond—about 80 people arrived for two tour groups, and most of them bought cider and/or Crosswinds Farm cheese while they were here. 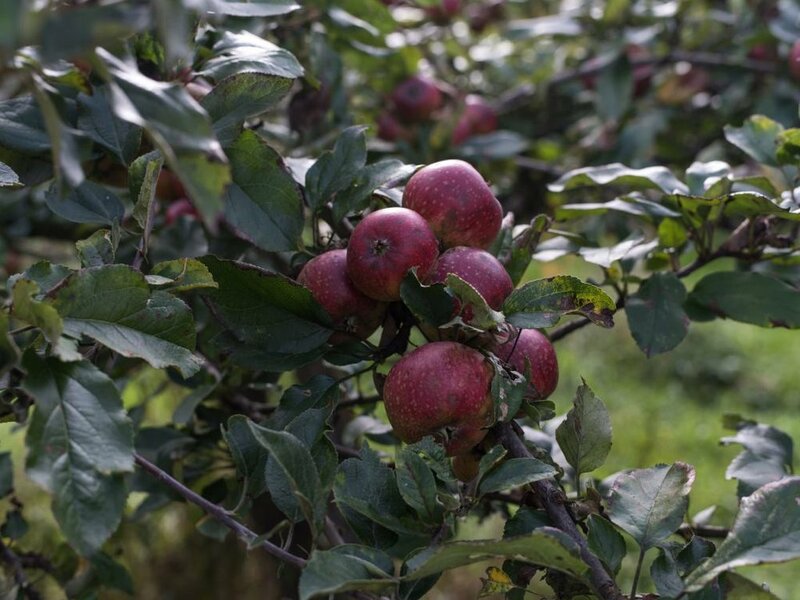 These farm tours connect us with customers from several states who know our apples and ciders, and are enthusiastic about seeing the home orchards and cidery where it all begins! With each successive FLX cider week, we can see the evolution of regional cider culture. People are increasingly appreciative of orchard-based ciders made from traditional cider varieties, expressing our unique growing conditions in upstate NY. This year we also noted that more people were asking for “dry” ciders, though they were sometimes unsure of what that really meant! Cider Week 2017 brought folks from all over the country (and other countries too!) to our region to experience cider culture of the Finger Lakes. It was fun to see the passion folks have for drinking good cider and their excitement to get behind the scenes in the growing and making of it. We led a cider apple and cider tasting workshop in the orchard at Indian Creek, and folks got really excited about tasting the differences in apples of the same variety grown on different farms. We led a tour of our Albee Hill orchard where participants learned about the abstract notion of terroir in ciders, wild bees and the new resiliency paradigm in farming. We also held a private dinner for special guests and tasted through our library of perries, both ours and some from across the ocean. My favorite part of cider week this year was hearing from folks how they had just been at another cider week event. It was great to see people come to the area for days and attend the diversity of great happenings. I was also more than impressed to see the amazing food pairing local chefs are coming up with for cider because that's a key piece in the development of an authentic cider culture...local food made for cider. I feel like we had a bigger audience than ever and the understanding and interest in what we are doing is getting to people. We are being watched, and by some pretty impressive wine/food focused folks, this is great!!!!. After this year’s cider week I feel the momentum is moving in our direction. Cider in the Finger Lakes is special!!! The end of such a big push leaves me wanting to tie it all up into an mentally neat package. The effort that goes into these 9 days of cider madness challenges us- as the owners and eternal hosts at Finger Lakes Cider House- to be convivial, hospitable and ever prepared for visitation. The increased attention to cider in the region asks us to step off-farm and out of the cidery and tasting room to share Kite & String at our accounts. I attempted to make sense of this schedule with one single post on our calendar, as well as individual event posts each day. Meanwhile, the full bounty of the farm comes to fruition and demands love and attention just as the cidery ramps into overtime. 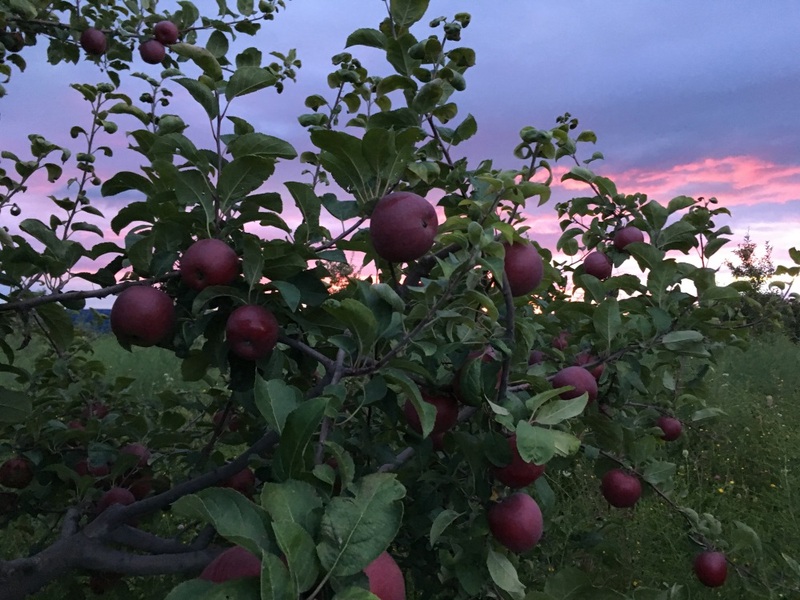 We think of Cider Week as an opportunity to share this overwhelming abundance and engender love for the FLX landscape and farms as they are now. Meanwhile, we'd like to pay attention to the past and step away from the production and retail mentality- remembering that this long cider celebration falls right on Indigenous People's Day, with its obvious and complicated reflections on our generation of land owners and farmers. We also seek to pay homage to 400 years of growing trees and naturalizing apples and fermenting them into a beverage that has grown from scrumpy to craft and vies with fine (grape-based) champagne for a spot on the celebratory table. How to wrap one's head around the opportunities for discussion here? And simultaneously do thousands of tastings both here and around the region? More and more, we're thinking of Cider Week as a magnifying glass on our year-round programming, on our messaging, on our social commitments. We hope each year to participate to the best of our ability in events that are both light and fun, some that are deeply nerdy and some that really delve into the true land-based issues we believe lie at the heart of orchard cider. Send us a private email now! An evening at Redbyrd Orchard kicks off the Cider Wheel! This past Wednesday (6/7/2017), our dedicated and excitable staff visited Eric, Deva, Cyrus, Leo and Felix at their home and the younger of the two Redbyrd Orchard sites (Trumansburg). Apropos of our coming public event on June 17 with Eric, we got to taste and chat in the orchard, and came away with our standard feeling of love, respect, awe and inspiration for our partner cideries. June is unique because it is the fever pitch of spring orchard work and sets the stage for the harvest to come. We started our walk with beautiful abundance on 5 yr dwarf Kingston Black and quickly encountering buzz concepts we were forced to dissect... biodynamics. Why, explain. To irrigate for larger and greater future harvests, or to push developing trees to withstand all weather opportunities. Sharing an evening with this family, amidst their unending agricultural journey, expressed so well in dry (and only dry) cider... well, it's just sweet. We recognize and salute the slow flame that burns in Eric and Deva's farmer hearts and keeps Redbyrd making these unique ciders in the smallest batches. At Redbyrd Orchard we are currently working on a new project, developing a cider wheel to highlight and focus on the unique specific flavors and textures of cider. We created our first template for the cider wheel and tested it out alongside a cider release event at the Finger Lakes Cider House in March. This was a super fun event for us as the interest and curiosity of the cider wheel became obviously clear and worth our while. At that time we tasted 14’ Celeste Sur Lie, 15’ Wild Pippin, and the 16’ Workman Dry, three very different ciders. We gave the tasters a copy of the first draft of our cider wheel and the flight of ciders to taste and comment. We got tons of cool feedback, confirming our descriptors for the ciders but more importantly adding more and cultivating and encouraging new descriptors. Now we are working on adding these to the wheel and continuing to hone in on the multitude of flavor expressions in cider. Below is some boiled down data from this tasting event. Descriptors are listed in order of the most commonly used for each cider as well as a list of our favorite new descriptors for each cider. Our Tasting Notes : Tropical fruit, orange peel, and birch on the nose. Fruit forward but with a round supple mouthfeel transitioning to a finish of mouthwatering acidity and plentiful tannins. Bright and juicy tart. On Saturday June 17th at the Finger Lakes Cider House we will be releasing another cider, the 2015 Andromeda Crab. With this complex unique blend of Wickson, Dolgo and Manchurian crab, and classic European bittersweet apples we will again be looking to develop and increase the length of our list of descriptors for cider. Please join us and be part of this pioneering discovery and the continued evolution of American cider.